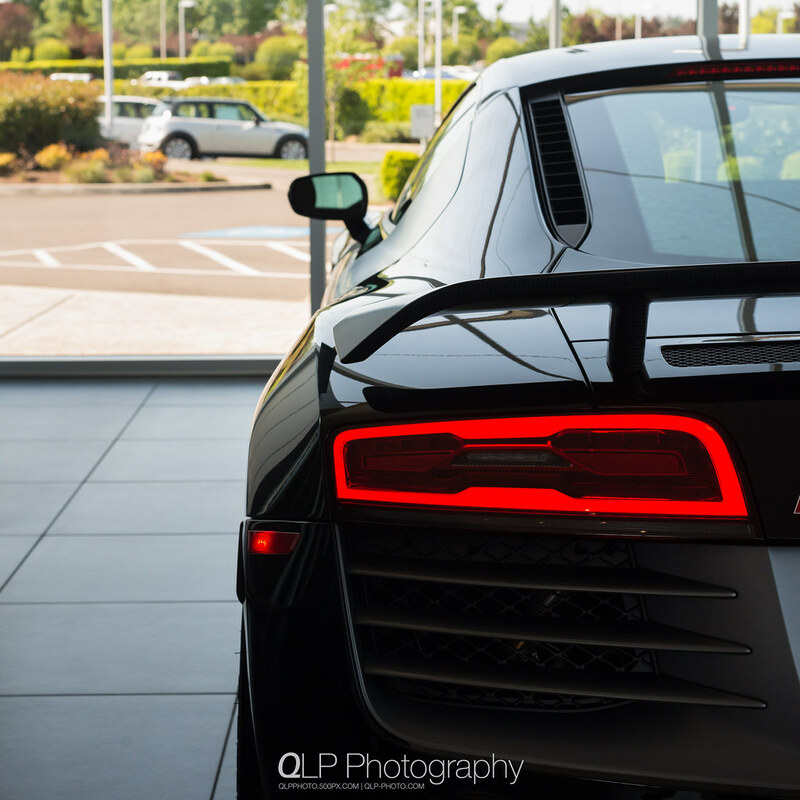 After finishing a quick photo shoot for work, I headed down to Audi Wilsonville with my gear knowing that an Audi R8 competition had recently arrived and was on display. 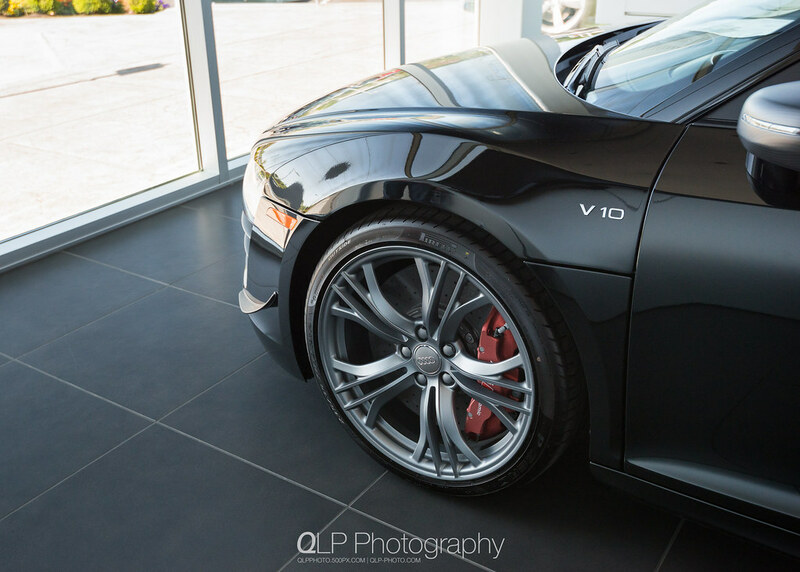 The R8 competition that they had on the floor is in Mythos Black and has the Diamond Stitched Full Leather Package. 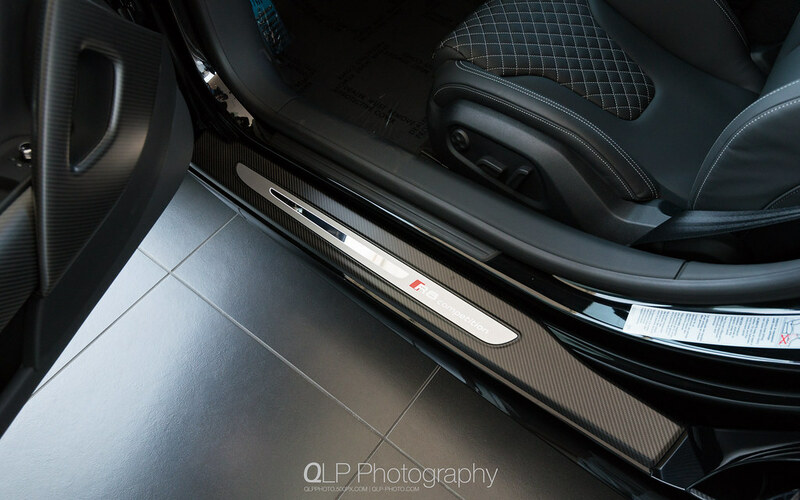 The Audi R8 competition comes adorn with matte carbon fiber throughout the car, with the exception of the bespoken illuminated R8 competition door sills. I really liked the large swaths of matte carbon used in the engine bay. The matte carbon fiber blade provides a subtle contrast against the Mythos Black paint of this R8 competition. The R8 competition does get some of the R8 GT treatment in terms of a matte carbon fiber fixed rear wing and front winglets. The inclusion of those pieces has not entirely been met enthusiastically by everyone. I’m rather indifferent when it comes to the front winglets, but I do like the inclusion of a fixed rear wing; especially, when it’s done in the matte carbon. The brake calipers are also done in matte/anodized red to match the other matte-finished pieces. Since the R8 competition production is limited to 60, one thing that I would have expected the R8 competition to have somewhere visible was the “x of 60” badge somewhere within the cabin. Alas, after looking around while taking photos, I could not find one. Shame, as both the R8 GT coupe and the GT Spyder each had their own “x of 333” badge on the R Tronic shift knob. 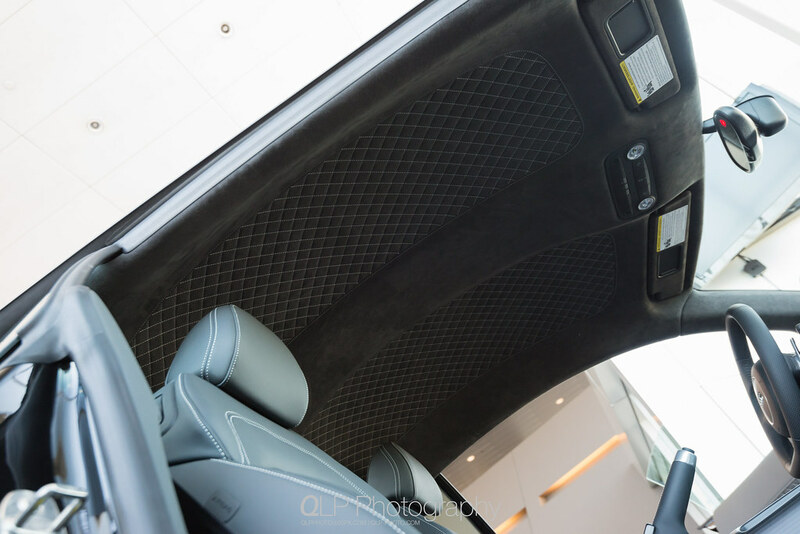 In addition to the seats and the door panels having diamond stitched leather, the headliner was diamond stitched Alcantara. Additional photos of the Mythos Black R8 competition can be found on Flickr.